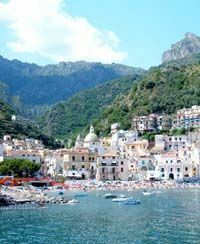 Learn Italian on the beautiful Amalfi Coast,enjoy a truely Italian immersion in an authentic Italian city in Southern Italy. 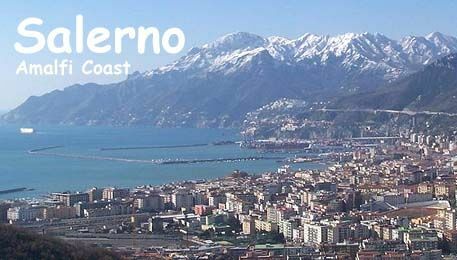 Salerno is the capital of the province of the same name, located on the Gulf of Salerno on the Tyrrhenian Sea. 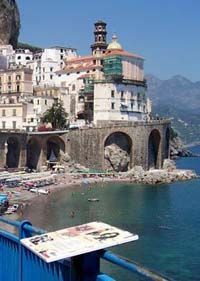 Salerno is the main town close to the Costiera Amalfitana (the "Amalfi Coast" on the Tyrrhenian, which includes the famous towns of Amalfi, Positano, and others) and is mostly known for its Schola Medica Salernitana (the first University of Medicine in the world). 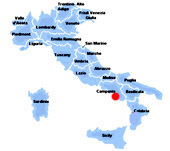 In the 16th century, under the Sanseverino family, amongst the most powerful feudal lords in Southern Italy, the city became a great centre of learning, culture and the arts, and the family hired several of the greatest intellectuals of the time. :: Arrive independently into Salerno. 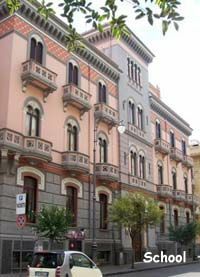 Our Italian Language School is located on one of the most famous streets in the historical part of Salerno, Via Roma, in an ancient and noble building, Palazzo Angrisani, facing the beautiful sea front of the city, the ideal place for those who want to relax, read, study and live in a typical Mediterranean atmosphere. 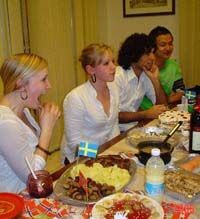 Our staff and teachers organize a social program almost every day, and these cultural and recreational activities are included in the cost of the language course. Students only pay for the entrance to museums, cinemas or theatres, for public transport, guides and for evening meals. Enjoy excursions to bustling, colourful places such as Amalfi, Ravello, Positano and Sorrento which are ideal for visits, cultural walks and marine activity. Famous archaeological sites: Paestum and Pompei where precious examples of Greek and Roman remains have been preserved intact and where the Greek-Roman civilisation is most evident. These courses are combined with your Language Courses and are offered throughout the year, starting every 2nd Monday. They generally take place for an extendable duration of 2 weeks for 2 weekly lessons in the afternoon with a minimum number of participants. Select from the following: Literature, History of Art, History of the Cinema, History of the Theatre, Italian for Business Italian for Opera, Singing, Italiana pottery and Ceramics, Italian Cooking, Jewellery & Instrumental Music. The nearest International Airport is Capodichino (code NAP). 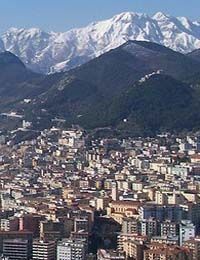 From Napoli Central or Piazza Garibalidi you can easily reach Salerno by train. The regional trains ticket to Salerno costs around 3-4 euros and it's called U-5 Unico Campania. Other trains are more expensive and cost around 7-10 euros.